PAL Robotics is collaborating with another european project, the socSMCs, from the Future Emerging Technologies (FET) call of the H2020 program. SocSMCs project aims to investigate the human behaviour and its cognitive system to improve Human-Human and Human-Robot interactions. For this purpose, researchers will perform trials with humans and robots. PAL Robotics’ REEM-C is one of the two robots used as platforms to develop and test the project. REEM-C is a research platform for the european project socSMCs. Researchers will focus on understanding the biological process that make people react naturally when facing a stimulus, synchronise an action without words with a counterpart, or anticipate their movements and reactions. In fact, the term socSMCs (Socializing Sensorimotor Contingencies) is referred to socially relevant action-effect contingencies that cause human reactions. Robots have proven to be a great platform for research on biological processes and the human mind. Having to study all the steps that a person follows unconsciously, so that a robot can perform it as well, gives a better understanding of our nature. REEM-C is ideal for this kind of investigations, which will also improve its social interaction. Its humanoid design, close to human anatomy, works well in real-life situations as it is suitable for human environments. 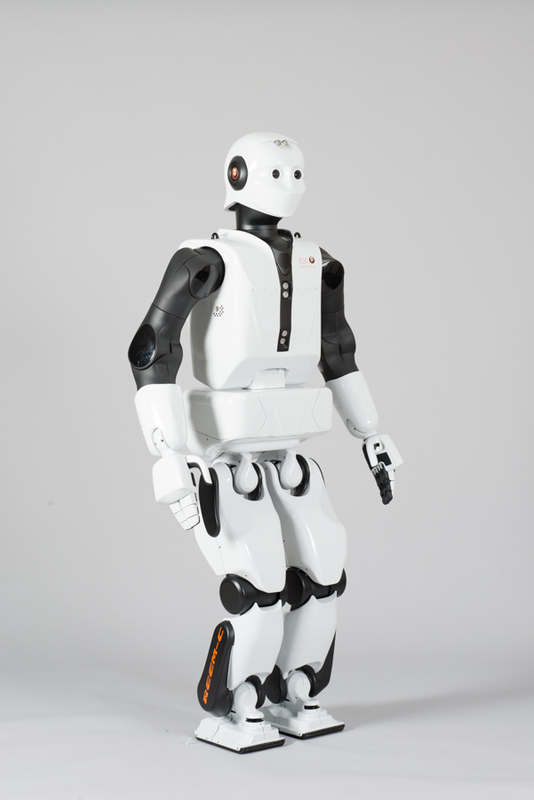 PAL Robotics’ REEM-C will participate in joint actions, both cooperating with humans and with other robots. Tests will be carried out on different scenarios, from taking a selfie, to help removing furniture, lifting, carrying and placing it without speaking. REEM-C will also play Pong with a person, a game developed by another Spanish partner: Universitat Pompeu Fabra (Barcelona). Overall, the investigation will benefit multidisciplinary studies of neuronal connections, social behaviour and robotics development. Trials will be performed with healthy participants and patients with autism spectrum disorders, in order to find clues for the research on how people with autism synchronise with other people. The socSMCs european project is carried out by eight different european research centers and companies, from Germany, Sweden, Spain and UK, and is expected to last four years.